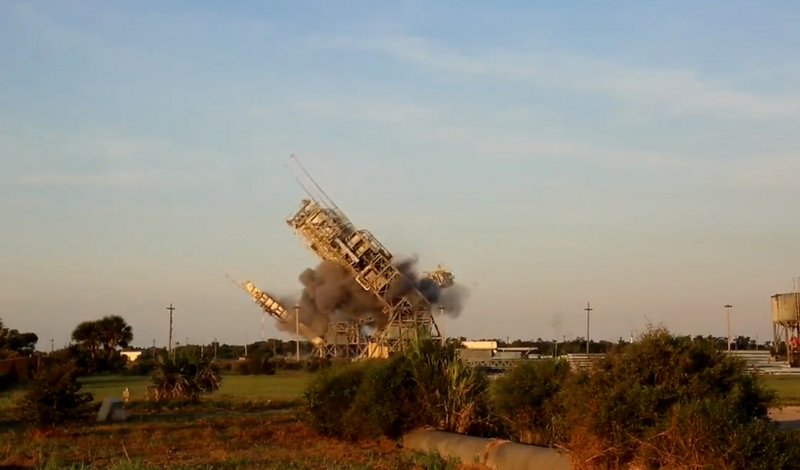 Cape Canaveral’s LC-17 has been leveled after the demolition of its two service towers on Thursday. The pad last saw action with the retiring Delta II rocket but has a history that ranges back into the 1950s. It will become the new site for commercial operator Moon Express.